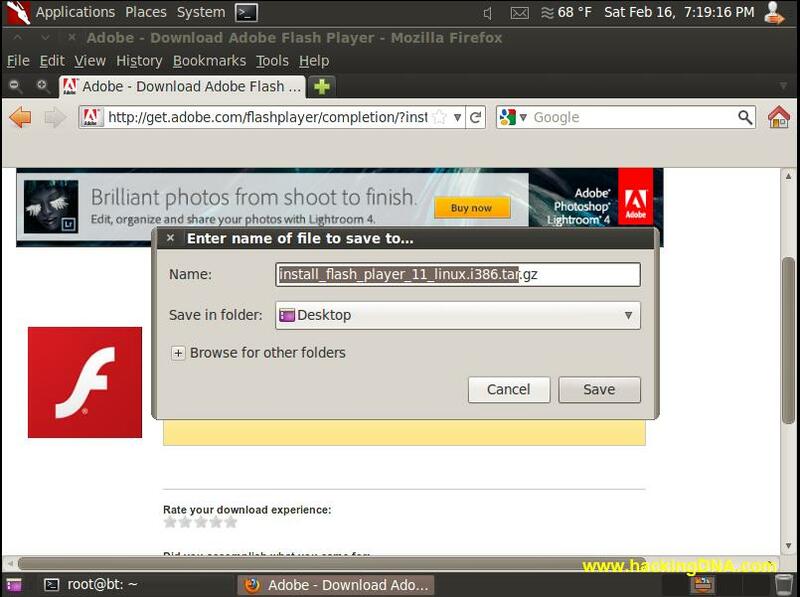 Flash player , today we are going to install flash player because flash player used in many applications and also its used in nessus . The problem that i face with nessus in backtrack 5r3 GNOME 64bit is it ask " Get the flash player " to run nessus properly . If you also face this problem or have problem with running flash based websites then installing flash player is the good step. 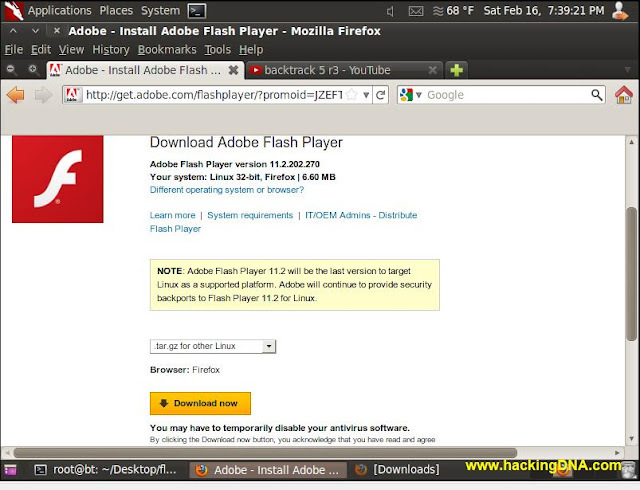 Also follow these commands to remove the flash plugins , firefox addons etc . 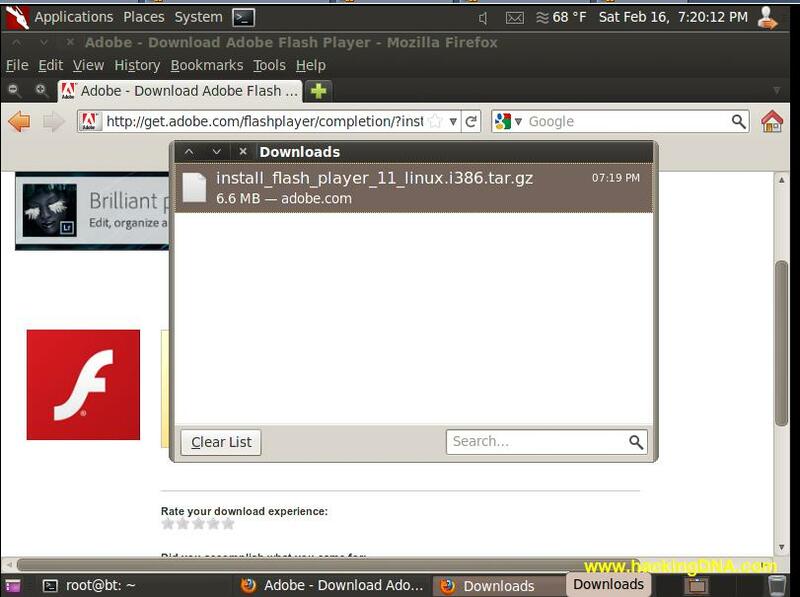 Go to the adobe official website ( www.adobe.com ) under the download tab , you will find the Adobe Flash Player . Select your package in tar.gz format and click on download . 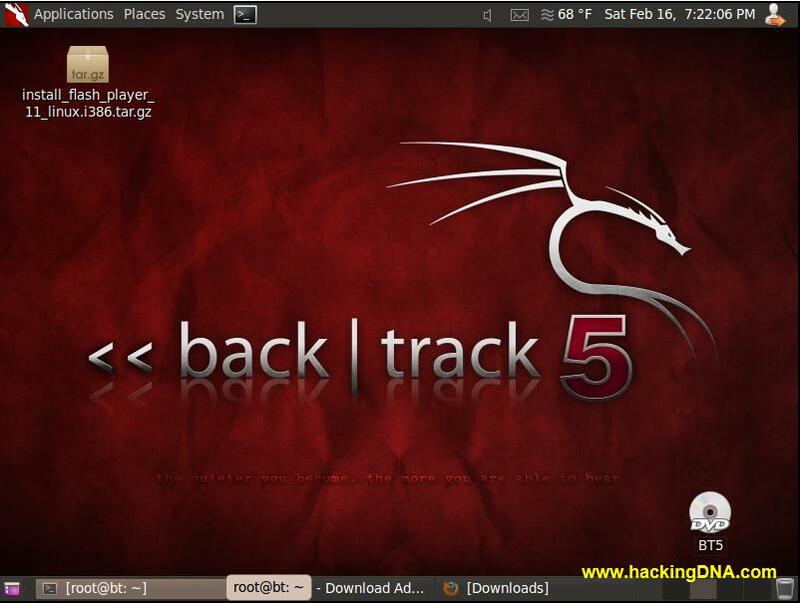 Enter the name of the file if you want to change otherwise leave as it is . 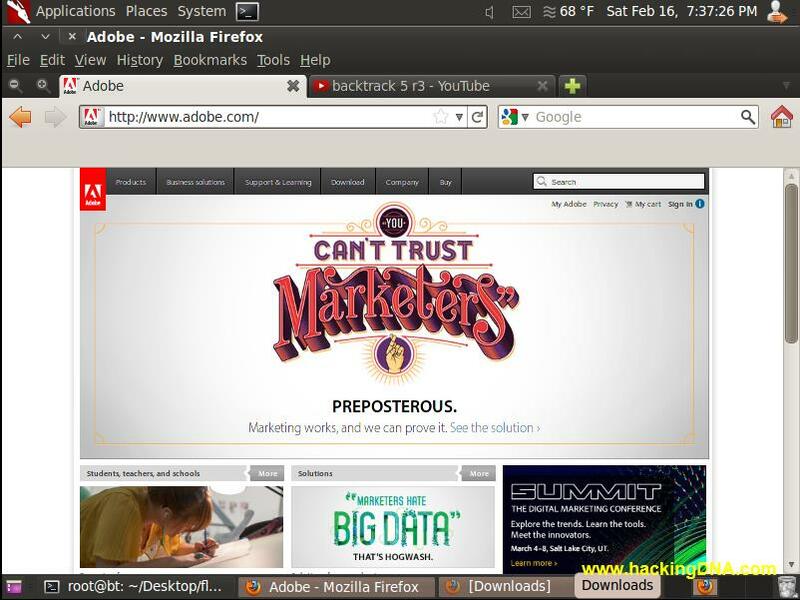 In my case i leave the name as it was and save the file on Desktop then click on the save button . See the below image for more understanding . So now flash player is installed successfully ! Open flash based website and check that it worked or not . 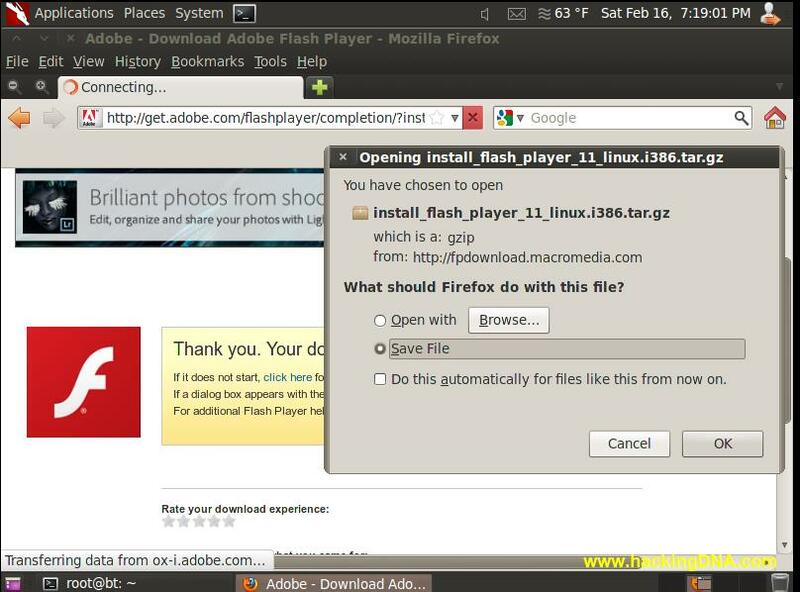 Lots of problem will come while you are working with flash based softwares and installling flash player saves your time . 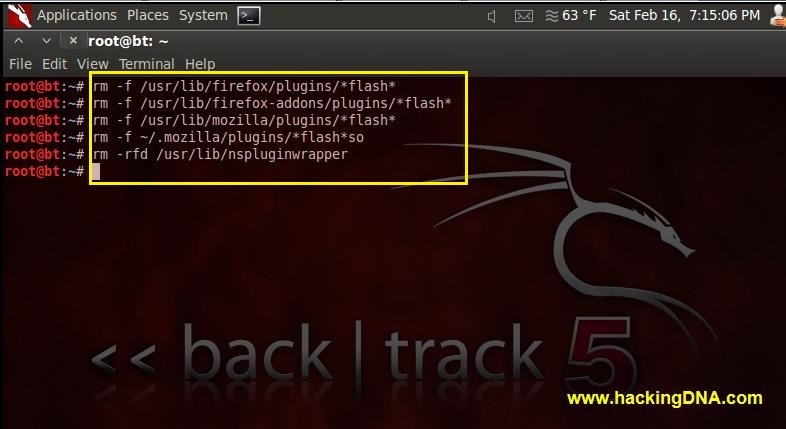 So install flash player now on your favourite Backtrack 5 Distribution .